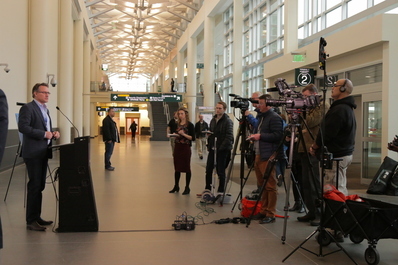 Minneapolis-St. Paul International Airport (MSP) set a new record in 2018 for the total number of travelers passing through its terminals. Beginning June 8, 2019, subject to government approval, Delta Air Lines will offer direct service between Minneapolis-St. Paul International Airport (MSP) and Mexico City, Mexico. JetBlue is bringing its award-winning service and low fares to Minneapolis, which will become the airline’s 65th nonstop destination from Boston Logan International Airport. KLM Royal Dutch Airlines will soon start flying a Boeing 787 Dreamliner for its three weekly flights between Amsterdam Airport Schiphol and Minneapolis-St. Paul International Airport (MSP).